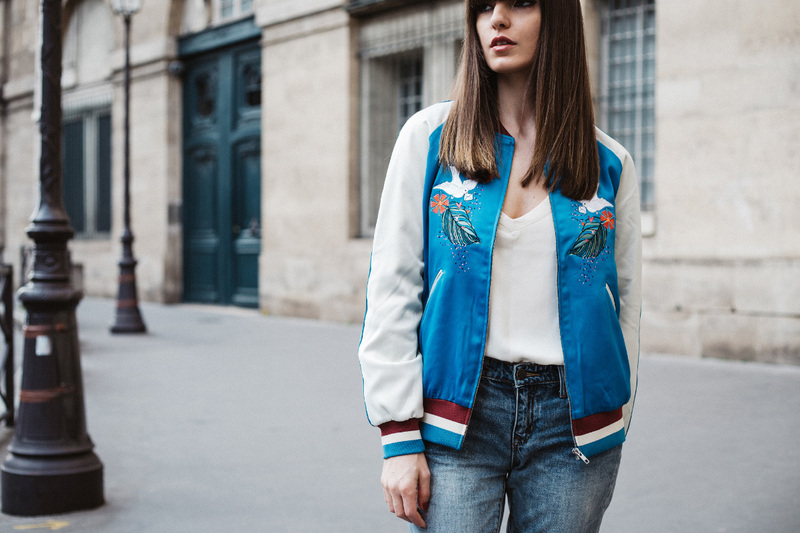 Since I decided to like bomber jackets, it took me some time to find the one I would completely love, and finally I found it: this beautiful piece from & Other Stories (here), is a satin bomber jacket with exotic embroidery, in my favourite colour blue. It's a perfect piece to wear during weekends, or even everyday, if your style is sporty chic. You can combine it with jeans, or some skirt, sporty o classic shoes. I like it, especially because it's original and creative, and it does not look like other indifferent bombers. The price of this beauty is 125 euros, not very expensive, nor very cheap. But it's a long term investment if you like bomber jackets.